Eat like a local at these bloggers favorite local restaurants all across the United States. 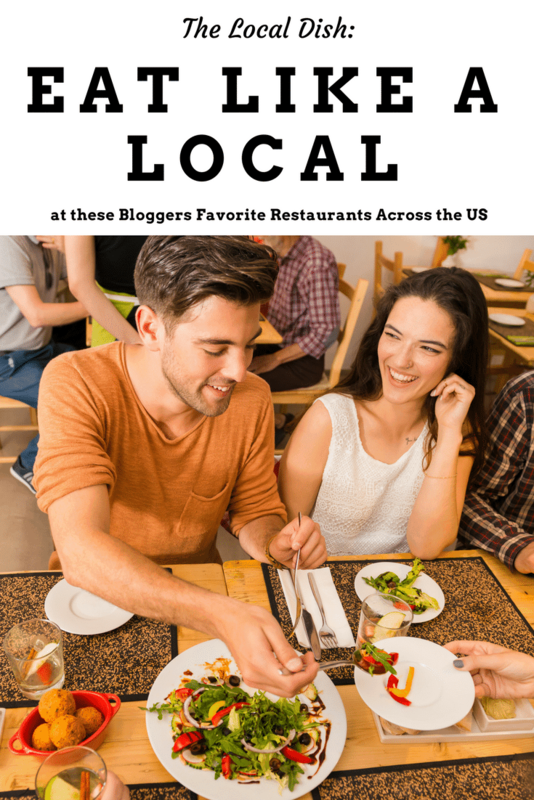 From New York City to Seattle to Houston, these bloggers share the top local restaurants that you need to visit if you are ever in the area. It is now secret that I love to eat out at restaurants and enjoy trying new restaurants whenever possible. Even when we travel I make it a point to “eat like a local” and seek out the restaurants where the locals like to dine. The locals always know the best restaurants! You might remember that a few weeks back I shared a list of my favorite 10 local restaurants in North Jersey. Now I have teamed up with other bloggers who have also shared their top restaurant choices in their local areas. We hope that this list will allow you to “eat like a local” wherever you travel! Bookmark this list and visit it whenever you are traveling so that you can find some great local spots to dine! What are your favorite local restaurants? Share them with us in the comments below! I just printed out this list of restaurants. Some of these aren’t to terribly far from me (Chicagoland). I do love a good meal. What a great idea! I love having local suggestions when I visit a city! I love going out to dinner but the cost is crazy. I would love to eat at Sunshine and Holly!